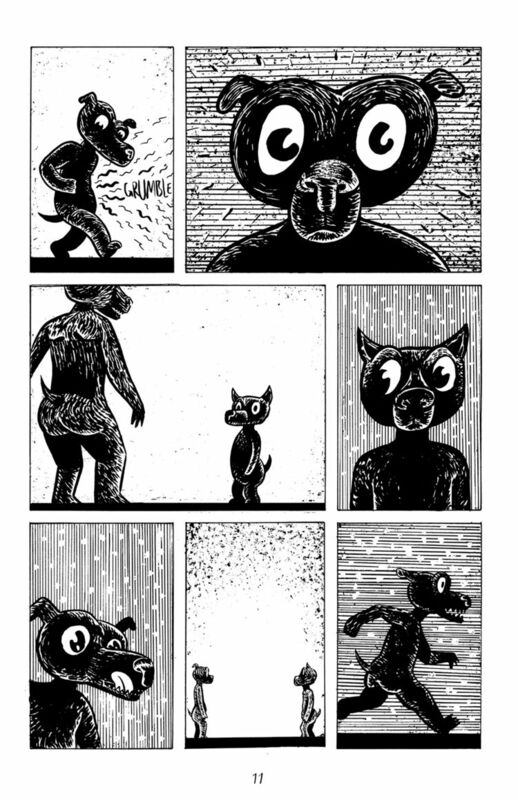 This is a story from my book LIKE A DARK PIT OF DARK DARKNESS was published as a comic zine in 2015. 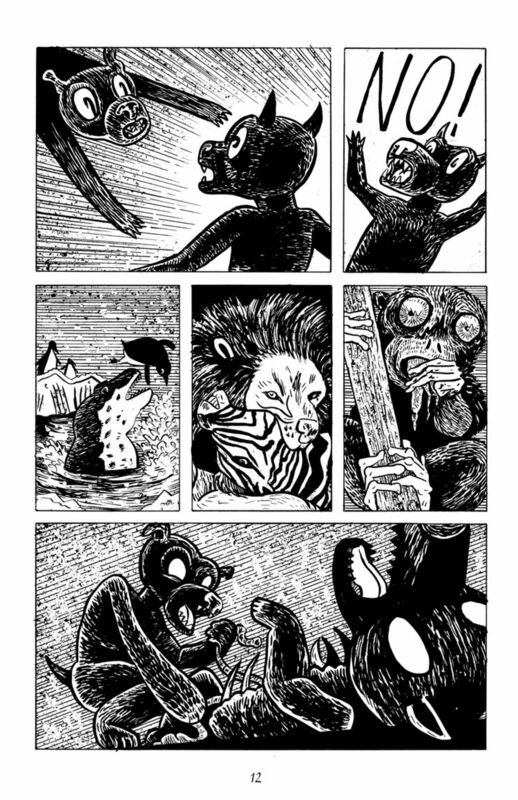 It is a collection of short stories and comic strips. 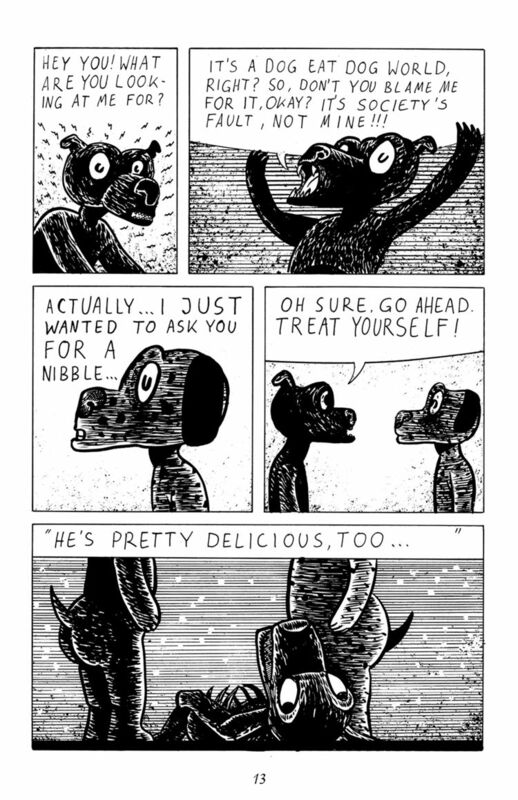 Dog Eat Dog is three part short story about human nature from a cynical perspective. It is drawn in Indian ink and white ink.